A random thing here – our Scout Troop is known as the Dragonslayers. Nice theme, because we’re hosted by St. George’s, St. George killed a dragon… anyway, we’re camping at a District event where Halloween is the theme. 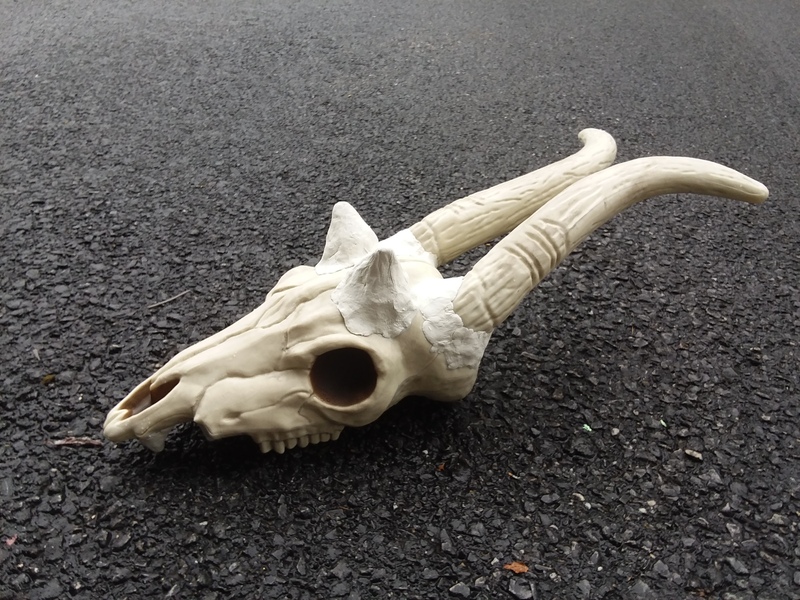 As part of our campsite entrance, we hope to incorporate skulls of recently vanquished dragons, because… why not? Became, with the addition of some pointy teeth, some clay bony protrusions, and some rearrangement of the horns, a very fine dragon! We have two. I hope the final entrance comes together well!